1. 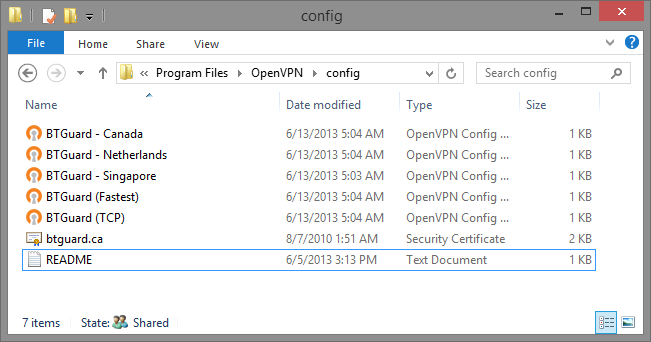 Download the OpenVPN BTGuard Configuration executable file. and launch it. 3. Open pass.txt and type your username on the first line and your password on the second line. Both username and password are case sensitive. Make sure not to add/forget Capital Letters. That's it! Now connect to OpenVPN as usual and you will not be asked for your login information. This page was last modified on 7 June 2017, at 20:27. This page has been accessed 21,035 times.